Andrew K. Harbison was born August 19, 1830 in Philadelphia. 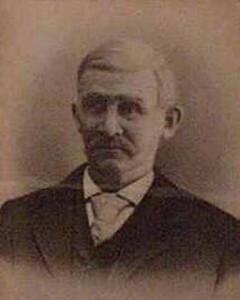 He married Eliza Jane Green in January 1855 and they had three children – Henry Harbison was born October 19, 1855 in Pennsylvania and died Feb 10, 1926 in Greeley Colorado, Clara J. Harbison was raised by her grandparents in Pennsylvania after Andrew left, and James Harbison died as an infant. 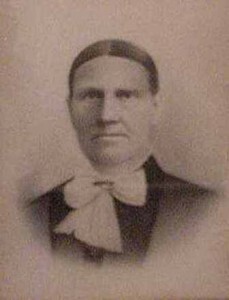 Andrew left Pennsylvania and married Mary Quinlan December 4, 1867 in Rockport Missouri. They had three children, Annie Eliza, Kittie D., and Robert A. (born July 6, 1876). Andrew and Mary Harbison lived in Nebraska and then moved to Leavenworth Kansas. 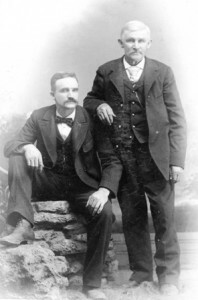 The family moved to Denver in the summer of 1889 and had a soap rendering business. 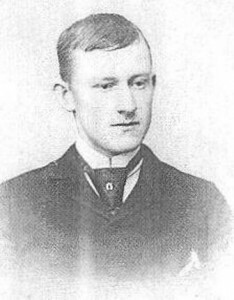 Henry Harbison had gone to Columbine Lake in 1891 and the Andrew Harbison family decided to follow. Neither married. They devoted their lives to their parents, to the care of the ranch with its daily demands on strength, patience, and endurance; to service to others. Their father died January 17, 1906, leaving the two girls and their brother, Robert, to look after their mother and to carry on the hard work of the ranch, through the brief loveliness of mountain summers, and the hardships of the long, cold winters. Their mother died April 3, 1923. In 1907 they opened their home to the care and love of two foster daughters, Mamie and Beatrice Schnoor, Mamie then a year old, and Beatrice three. Beatrice’s early marriage and death left them more and more dependent on Mamie’s capable help. The “Harbison Girls” were part and parcel of the early pioneer life of Middle Park, known and loved by the whole Grand Lake country. Their home, so typical of the early days, the sturdy log cabins giving a touch of hominess, a feeling of security, and an atmosphere of Western hospitality, has been visited by tourists the country over. Kitty and Annie’s friends were countless. The “Harbison Girls” are gone, and their going was as brave and poignant as their living. The long, winter shadows of the Never Summer Range down the North Fork Valley, will no longer fall upon their evening activities about the homestead. Spruce and pine boughs are heaped high over a double grave in the hilltop cemetery so near their ranch. Stricken with pneumonia, ten days ago, the lives of both Kitty, aged 66, and Annie, 70, were despaired of from the beginning. Kitty passed away at noon on Election Day; Annie lingered until dawn, Sunday, November 13th. Kitty took to her bed first; Annie, already ill, continued her work in the cabin, refusing to go to bed until she had cooked a good dinner. Then, with a temperature already nearly 105, she made a brave fight for her life, when Kitty was taken away to the “little cabin”. No one told her that Kitty had “gone on ahead”. The double funeral service, beautiful in its brevity and simplicity, was held at the Grand Lake Community House, Monday afternoon, November 14, with Charles Hulac, pastor of the Grand Lake Community Church in charge. 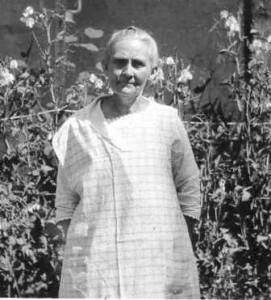 Mrs. Arthur Link sang “Asleep in Jesus”, “Crossing the Bar”, and “Abide with Me”. Henry Schnoor, Len Osborn, Al Bryant, Andrew Christianson, Sam Stone, and Robert Johnston acted as pall bearers. Interment followed in the family lot in the little hillside cemetery above Grand Lake.